October greetings from Apostle Islands Booksellers! What a terrific book! Narrated by 13-year-old Joe, Louise Erdrich's newly released novel, The Round House, is all at once a gripping page-turner and a tender coming-of-age tale about how maturity alters our relationship with our parents, delivering us a new kind of love and pain. The reservation setting also affords a rich, layered look into a culture unfamiliar to many of us. We cannot recommend this book highly enough. A memoir of one Minnesota family's quest to build, maintain and protect their organic farm, Turn Here Sweet Corn is a well-written personal account of what it takes to do this. There are mountainous challenges from weather to corporate politics, as well as deep rewards. 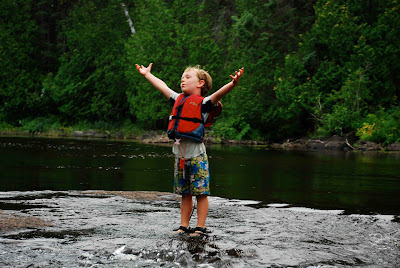 Diffley takes us through it all in a vivid, emotionally alive and compelling way. As one reviewer said, "[A]n education on organic farming and its importance, as well as a heartfelt love letter to the land." There are few things more satisfying than biting into a freshly made, crispy-on-the-outside, soft-on-the-inside slice of perfectly baked bread. This is also a craft that many people find nearly impossible. In Flour Water Salt Yeast Forkish translates his amazingly intricate craft into scores of recipes for the at-home-baker. Forkish actually tested every recipe in his own home kitchen. This book really does have something for every skill level. This is more than a cookbook, it contains tutorials, tips and advice - an indispensable resource for anyone who wants to bake delicious bread! Once again, we escaped Bayfield's Apple Festival (sincere apologies to our Chamber of Commerce!) by attending the annual Midwest Independent Booksellers Association (this year joined by the Great Lakes Independent Booksellers Association) book conference in Minneapolis. In the company of hundreds of stalwart booksellers, authors and publishers we listened and schmoozed in the presence of the 2012 class of new books. And a fine class it is! Peter Geye told us about The Lighthouse Road, his second exquisite Lake Superior-set novel. He will be with us in the store, by the way, on Saturday, October 27th. Kent Krueger told us about Trickster's Point, the thrilling and richly textured continuation of his Cork O'Connor series set in northeastern Minnesota. He will be with us on Saturday, November 3rd. Louise Erdrich told us about The Round House, her hard-to-put-down novel of family loyalty, violence and wiindigoo justice set in Anishinaabeg country. Altogether an enjoyable and inspiring weekend. Amidst these hundreds of new books we reflected back on their antecedents still rolling along aboard that long train since Gutenberg. We've recently been intrigued by favorites from the 40's and 50's. Advancing age has made re-reading a new experience. Lawrence Durrel's Alexandria Quartet and Paul Bowles The Sheltering Sky were a revelation this time around after several journeys in Egypt, Morocco and the Levant. The theme of dissolution in Under the Volcano by Malcolm Lowry resonates even more at a "certain age" than it did in strapping youth. Besides, "The Day of the Dead" is just around the corner! Finally, Georges Simenon's The Train and Monsieur Monde Vanishes remain delightful and troubling in equal measure and his Inspector Maigret police procedurals still set the standard for the genre. Despite our size we try to keep both the old and the new on the shelf. If it's not there we can usually get it in a few days. Or, please consider ordering your book (in any format including eBooks) from our online store. We cannot let the Lawrence Durrell Centenary pass without homage to his great tetralogy of novels set in the polyglot city of Alexandria just before and during WWII. Justine, Balthazar, Mountolive and Clea are, as Durrell tells it, "an exploration of relativity and the notions of continuum and subject-object relation, with modern love as the theme." Well, he may be toying with us! Better that the books speak for themselves. The first three trace the same sequence of events and characters each from a different individual perspective. The last, set six years later first in Corfu and then back in Alexandria, draws the stories together and weaves an ultimately ambiguous conclusion. Central to it all is Alexandria itself with all its roiling, squalid elegance where the other characters slide together and overlap like "wet crabs in a basket." Their lives and relationships are wrapped and extended in meditations on art, writing, culture and in the beauty of the words which tell the story. White Truffles in Winter imagines the world of the remarkable French chef, Auguste Escoffier, who changed how we eat through his legendary restaurants at the Savoy and the Ritz. Escoffier was also torn between two women: the famous, beautiful, and reckless actress Sarah Bernhardt and his wife, the independent and sublime poet, Delphine Daffis, who refused ever to leave Monte Carlo. How does one define the complexity of love on a single plate? 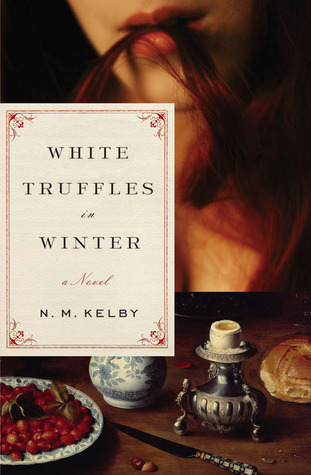 N. M. Kelby brings us the sensuality of food and love amid a world on the verge of war in this work that shimmers with beauty and longing. It has always been important to us to support our local authors as much as we can. This winter we are honored to be a sponsor for the Third Annual WritersRead at StageNorth on January 4th and 5th. At this event the authors with accepted entries will read their stories, essays and poems on stage. We love the idea of encouraging everyone to embrace their inner author. Every year there is a theme, and this year the theme is, "the elements." This could be interpreted in many ways, but we're sure to hear some great stories about wind, fire, water and much more! As a sponsor, we will be helping create a book of all of these writings that will be available for purchase at Apostle Islands Booksellers. We are also excited to announce that one of our favorite authors, Peter Geye, has agreed to be a judge at the Read this year. Peter certainly knows a thing or two about writing "the elements." If you are interested in submitting something for this year's Read, you still have time. The deadline is November 1st. Here are the rules and other specifics.